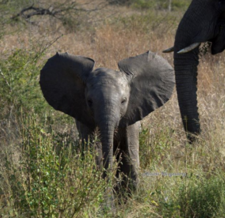 Bushwise specializes in training, running three types of courses tailored for the African Safari lodge industry, our highly acclaimed professional field guide courses and also hospitality internships. Bushwise specializes in highly accalimed FGASA Field Guide & Hospitality training, which includes various courses tailored for the African Safari lodge industry. Over the years Bushwise has built its excellent reputation in the safari industry by training high achieving field guides, both practically and academically and supplying professional interns to assist in the running of the lodges. 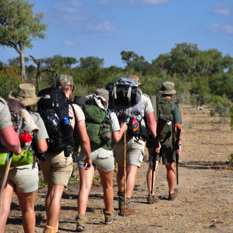 Bushwise ensures students and interns meet and exceed the standards required in the safari industry in Southern Africa. Training and selection is maintained at a top level, through which we endeavour to produce high quality, competent guides and source professional lodge hospitality interns, by offering training in guiding, bush knowledge and bush skills. Spend 23 weeks training and achieve the FGASA Level 1 Professional Field Guide Qualification in the African bush, as well as other qualifications & skills included in the course. You can also chose to include an optional six months practical work experience on a game reserve or volunteer or research program. On the 14 day Bushwise Back Up Trails Guide course in conjunction with Lowveldt Training you will cover all the necessary requirements to meet the FGASA back up trails guide qualification. Your time will be spent meeting the minimum number of dangerous game encounters, on foot and logging the minimum number of hours required. This course will also focus on the ethos of guiding, as well as bush skills. 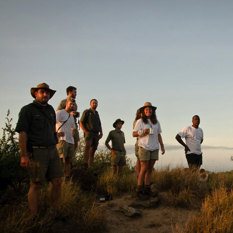 With over ten years experience training top field guides in South Africa, we know the bush and we know safety. Working with our highly qualified team and leaders in conservation, natural and biological sciences we are well placed to offer educational programs to schools and universities.We offer both standard and customisable programs to meet your requirements.